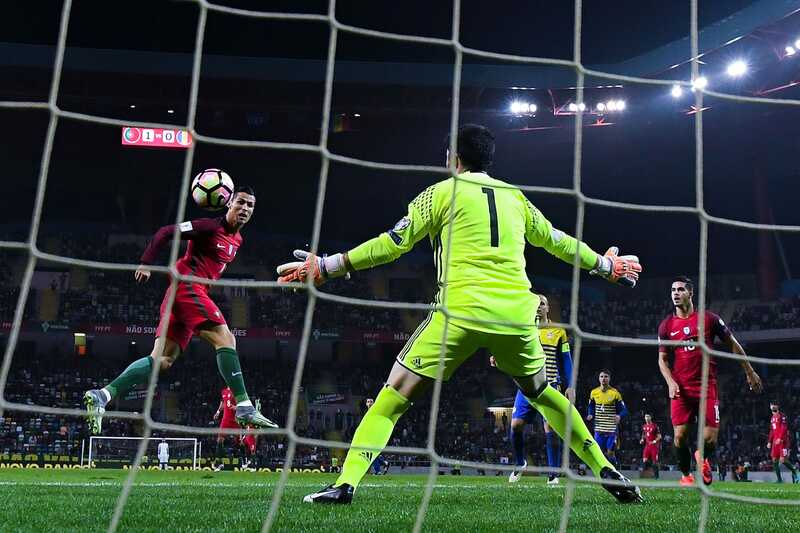 Getty ImagesCristiano Ronaldo scores a header against Morocco. Cristiano Ronaldo is an extraordinary competitor. World Cup analyst Patrice Evra recently told an anecdote on ITV that drove home just how dedicated the Portugal striker is to winning. Ronaldo lost a game of table tennis to former teammate Rio Ferdinand when they both played for Manchester United. Ronaldo then bought a ping pong table, practiced relentlessly for two weeks, then challenged Ferdinand to a public rematch – which he won. Ronaldo is currently hoping to lead Portugal to 2018 FIFA World Cup glory, and you can read all of Business Insider’s World Cup coverage here. I know that, you know that. This is not new. However, Patrice Evra, a former teammate of Ronaldo’s at Manchester United, recently told an anecdote on ITV Sport’s World Cup podcast that really epitomises how dedicated the 33-year-old is to winning. Evra and Ronaldo played for the same United team for three and a half seasons from 2006 to 2009, and featured in the same starting line-up as former England international Rio Ferdinand. According to Evra, Ronaldo once lost a game of table tennis to Ferdinand – and his reaction was to buy a ping pong table, practice relentlessly for two weeks, then challenged Ferdinand to a public rematch, which he won. “He’s a machine. They were playing table tennis and Rio beat him and we were all screaming.” Evra said. Evra also went on to suggest that anyone who gets an invite to have lunch at Ronaldo’s house should think twice – he was once invited over for a meal, but was given light, healthy food before joining Ronaldo in multiple training sessions. That mentality has served Ronaldo well. His dedication to being the best he can be has earned him five Champions League titles, the UEFA Euro 2016 title with Portugal, and his powerful headed goal against Morocco on Wednesday recently saw him become the top European goalscorer in international soccer, with 85 goals. He is now second only to Iran attacker Ali Daei, who netted 109 times between 1993 and 2006. Ronaldo has a chance to add to his goal haul on Monday, when Portugal contests its third and final 2018 FIFA World Cup Group B match against Iran.